Simmer Spotlight - What We Love Most About The Simming Community! We're celebrating Simmers all week for The Sims 17th Anniversary, and today we're all about sharing the love. We reached out to a whole bunch of community members, ranging from content creators to social media regulars, to ask them what they really love most about being part of the Simmer community, and here's what they had to say! 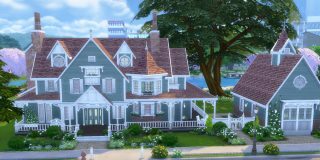 Lifesimmer - Where does one begin? I'd say something that I really admire about the community is how open minded everyone is to different walks of life. I've never seen a game community so warm-hearted, people so open to being human. That's the best way I could describe it, nobody shames real life struggles. Practically everyone is a warm soul and nurturing. Iron Seagull - I love that the community is so diverse! It’s unlike any other that I’ve seen. I often dabble in platformers and racing games, but those genres tend to draw similar crowds. However, The Sims attracts people from all walks of life! The Sims offers many different ways to play, and the community reflects that well. It’s really interesting to see this life simulator managing to attract such a wide variety of people. James Turner - The passion, everyone cares so much about everyone else, the game, and they all want the best. It is one of the few communities in gaming that really want to work together to make it place where everyone can have fun and be themselves. 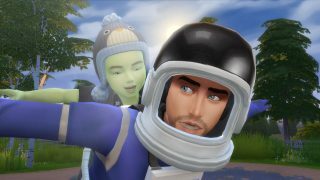 BringTheParty - I love the Simming community because of how unique it is. When I first started playing the game I did not understand how multidimensional it is. Previously, I only saw the surface of the game, but as I dug through forums and made friends the community became a family to me. We all work towards one goal which is to make a great game even better. The community has developed challenges and different ways to play the game, which is no doubt my favorite part about it. Cinderellimouse - There are a few things really. The first is that we can have so much fun just hanging out on Twitter and being silly, it's fun to speculate about new content or laugh it off when things have gone a bit wrong. Secondly, we have such a supportive community! Sometimes it seems like we are all fighting all the time, but if someone posts a thread saying they need help there are always people there jumping forward to offer advice! Finally, there are also so many creative people around who love to share their game play, content and ideas, so there is always something inspiring to discover! 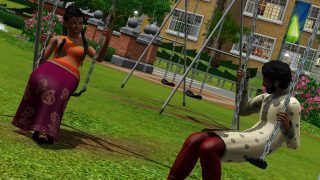 BlackEssence - I have seen the Simming community change so much in the last 17 years and, like any tight knit family or group of friends, we've had major ups and downs that have in some ways helped us grow as video gamers and Simmers. One of the best things about the Sims community is being able to connect with others who have not only similar interests as one may have, but through sharing with one another any of life's happenings be it good or bad actually helps in mental and social development for people of ALL ages who play the game! The Sims actually help provide a common and empathetic ground that drawings players together in helping each other grown in areas where one is personally weak or strong. Either way, the community has always been one where a new or old simmer can find and form wonderful and lifelong friendships that can last as long as the Plumbobs continue to glow! Doornebuzz - What I love most about the Simming community, is the creativity that comes bursting out of every corner. Be it storytellers, builders or custom content creators: everyone is so positively talented and inspiring. Story tellers have weaved some of the best stories I have ever read. One of the people I’m closest to in the community even wrote and published a book! So now you've heard from those guys, we want to hear from you! What do you love most about being part of the Simmer community? 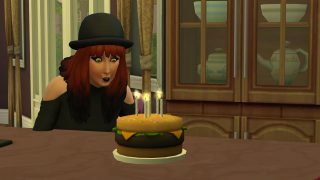 Let us know on Twitter, Facebook, Tumblr and Instagram using #TheSimsAnniversary!